Since Models Own announced their new gel effect polishes, I was unbelievably excited. I'm a big fan of the Barry M Gellies and so it's great to see another U.K brand breaking into this market. Seeing everyone's swatches of the polishes got me even more excited and so when I received my own samples to review, I was over the moon! One thing that I'm always asked about is how I keep my nails in tip top shape. 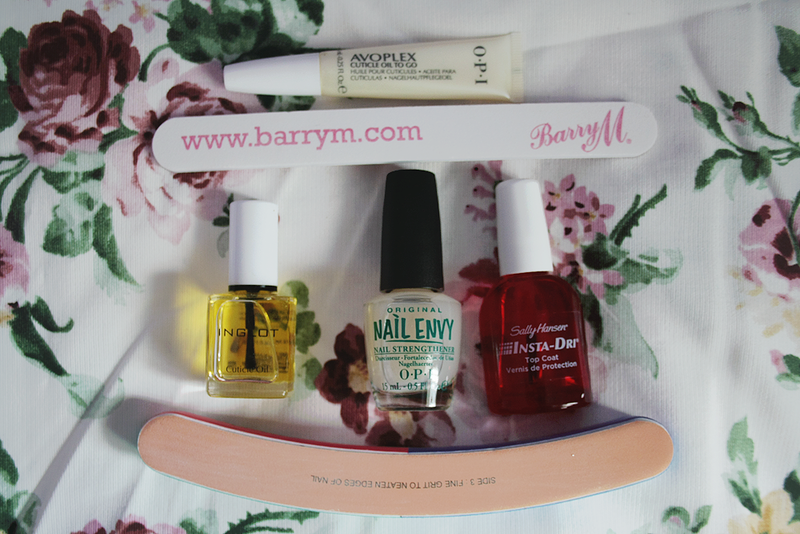 Some days are better than others but these are the main products I use to make sure that my nail art stays as long as possible, as well as keeping my actual nails and cuticles in the best condition possible. Today's post is brought to you by my love of florals and knitwear. Combine them together and by jingo, you've got one excited blogger. 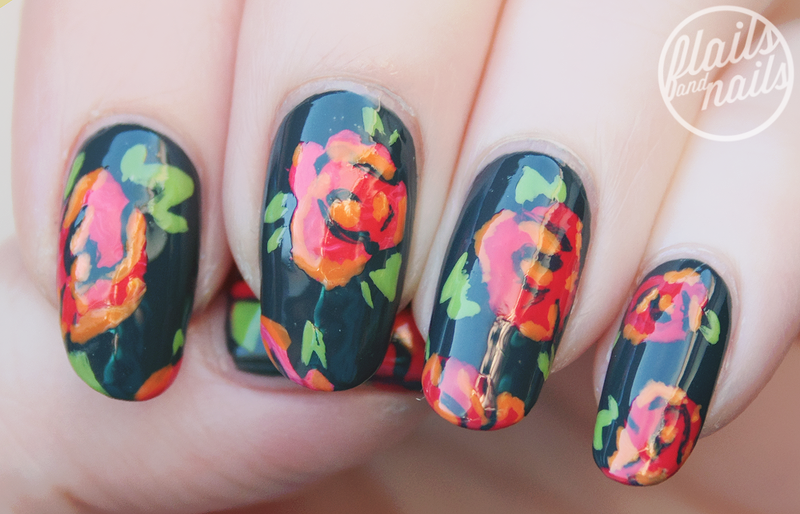 Click the cut to check out more pictures of one of my favourite manicures in a while as well as the cardigan in question. So Flails and Nails turned 1 on Saturday and since I've been working all weekend and didn't really plan ahead (I'm so silly), I wanted to do a luxe-looking mani in celebration of me sticking with this blog for an entire year! 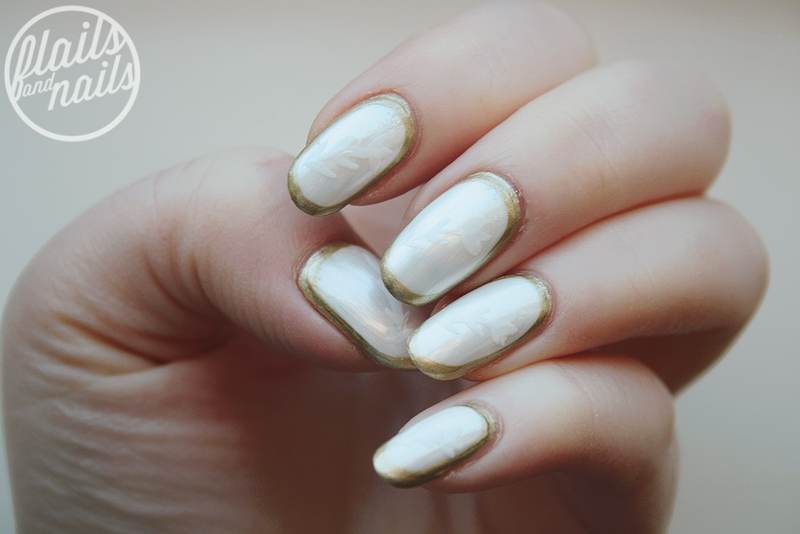 These nails are inspired by these Ulyana Sergeenko earrings. She designs AHMAZING couture (her show in on tomorrow (21st) in Paris) and is one of my style icons. If I had some sort of money, these earrings would be at the top of my list. 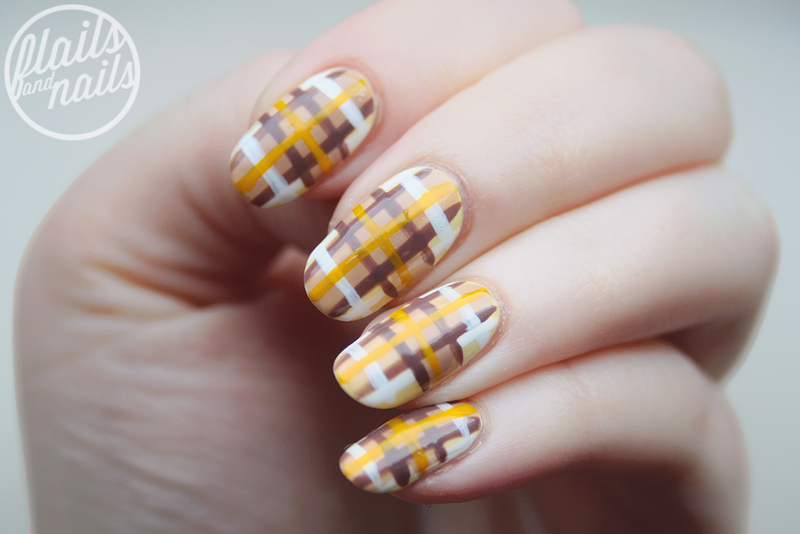 I'm reliving my childhood through this nail art as I pay tribute to one of my first style icons, Cher Horowitz, and her infamous yellow plaid outfit. In what I think is my last Radiant Orchid inspired mani (I still have SO many shades to work through but let's quit while we're ahead LOL), I've used one of the first polishes I ever bought when I started to get into nail art. I decided to stick with one brand for this manicure as I wanted to show the variety of polishes you can use to achieve a 'Radiant Orchid' look and I really wanted to try out my Crystal Glaze top coat, as well as one of the Royal Glitter shades from Barry M.
This manicure is based somewhat on a mani The Illustrated Nail created recently for Barry M. I loved the idea of doing a base colour with Crystal Glaze covered in this rising sun/art deco pattern. 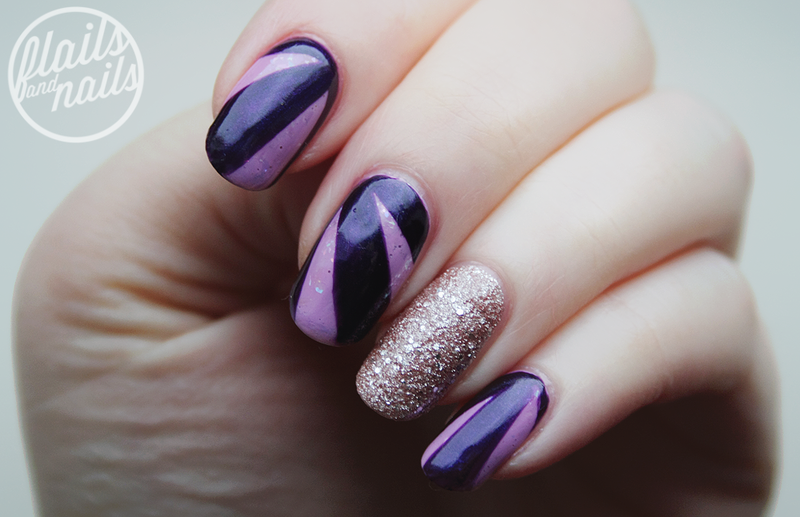 I changed the colour palette, the angles of the pattern top and the accent nail. I really love the visual impact of these nails and the way the light catches on the top coat just adds an extra dimension of awesomeness to it all. 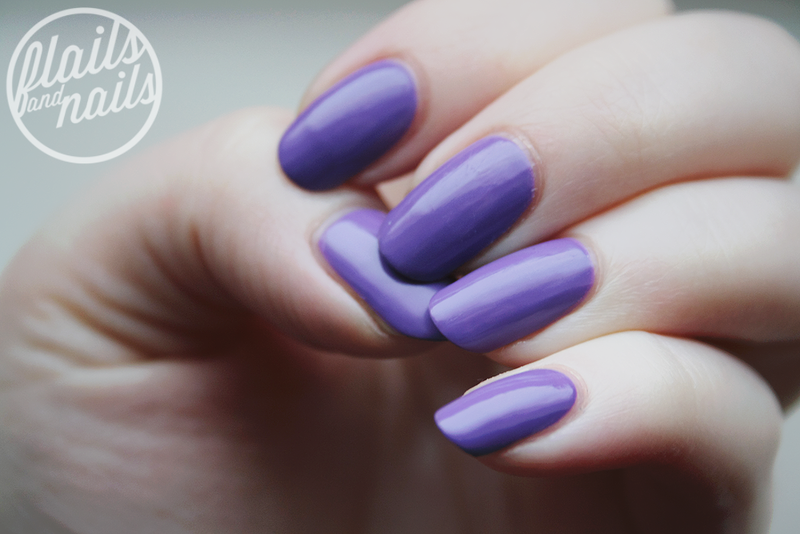 Have you found your ultimate Radiant Orchid shade yet? Let me know in the comments below and be sure to follow me on tumblr, instagram, bloglovin', twitter, and facebook , until next time! Here's a quick post to show you some of the affordable polishes you can get on the high street/drug store that will keep you on trend with Radiant Orchid without breaking the bank. There are also some great shades from Maybelline, Rimmel, Revlon and Essie available but they weren't being cooperative with Polyvore! I'll also be doing a mid to high-end selection as well in a day or two so look out for that if you have a more expensive taste. Here is number two of my picks for the best nail polishes that represent Pantone's Colour of the Year 2014 'Radiant Orchid'. I kept the nail art on these nails quite subtle and small in scale so that the colour was the star of the show because this is a stunning shade. Happy New Year everyone! Apologies once again for being a bit AWOL these past few weeks but obviously Christmas and New Years had me occupied and I hadn't scheduled any posts over the break which I guess is a bit of a rookie mistake! Also, I got a new laptop for Christmas so I've been setting everything up on it and getting used to Windows 8 (which is so so different) but hopefully now we shall be getting back to scheduled programming. 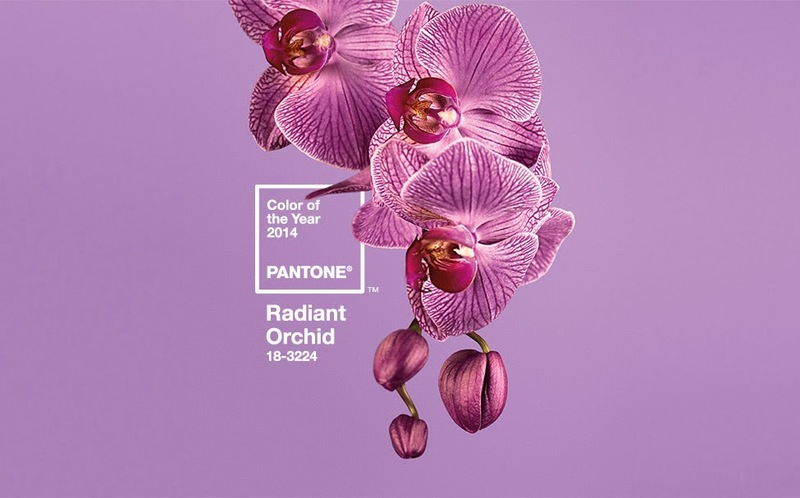 I thought that the best way to start off the blog in 2014 was to celebrate Pantone's Colour of 2014 - Radiant Orchid! It's been the focus of much media attention these past few weeks and I thought it would be cool to explore what shades I have in my collection that would match this colour and how you can wear the colour in different ways and still be on trend. My first swatch of Pantone Colour of 2014 week is Jacava London's Blueberry Muffin. You might have seen in my previous post that I won a competition on Jacava's facebook and Blueberry Muffin was one of the colours included. Join me under the cut for more photos and my opinions on this polish.